Tuesday afternoon, ESPN bracketologist Joe Lunardi participated in a conference call and fielded questions from reporters ahead of this Sunday’s release of the NCAA tournament bracket. 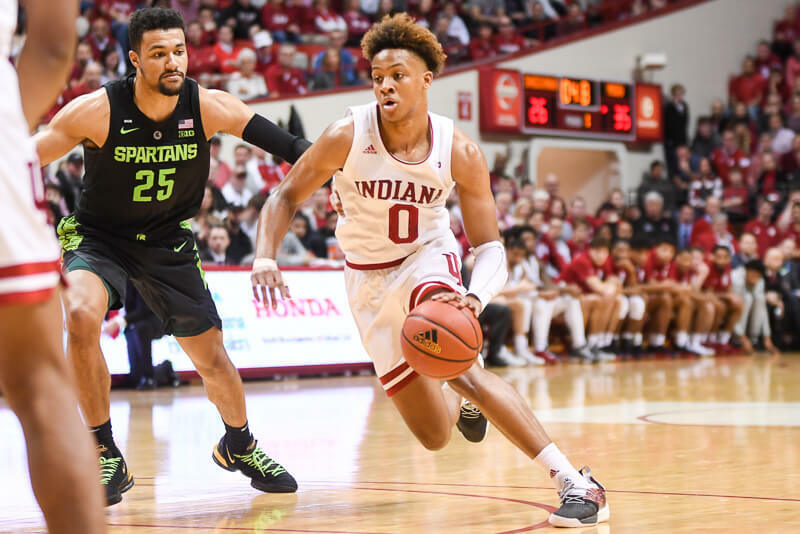 Inside the Hall asked Lunardi, who currently has the Hoosiers as one of the last four teams in the field, what he thought Indiana’s strengths and weaknesses are ahead of Selection Sunday and what the Hoosiers need to do in the Big Ten tournament to seal an NCAA berth. “Well the strength in Indiana’s case at the moment is their wins are better than their team. At least the way they are playing right now. And I don’t think anybody would argue the point. 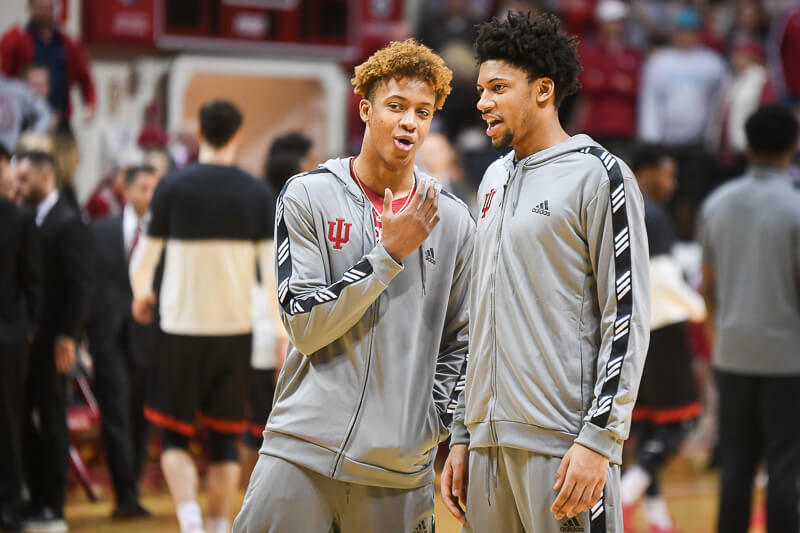 And a lot of the evaluation of IU is going to come down to kind of the basketball judgment that folks make of how they are playing at the end of the season. Because I think if you are to watch them over the last two or three weeks and if my social media responses from folks are to be believed to any great length, people think I’m nuts for having them in at all because of the way they’re playing. “So what they need to do is win. Probably win more than once and look good doing it, because that would be the opposite of how it’s been down the stretch. 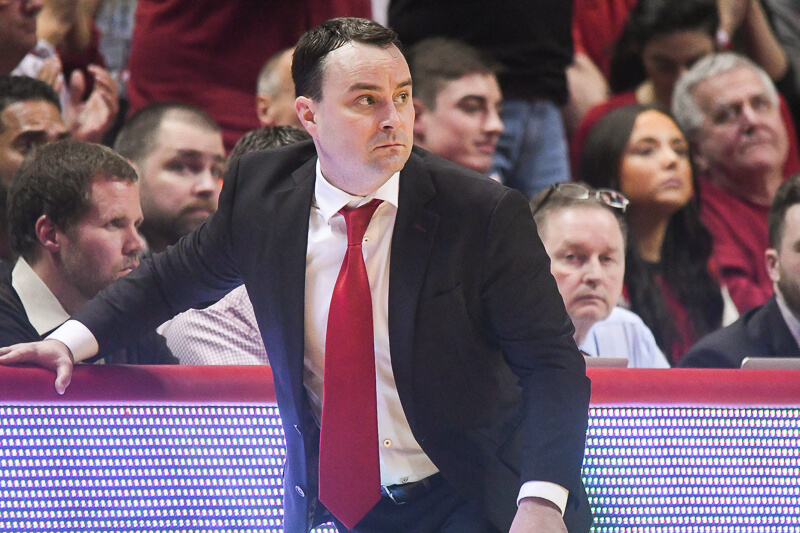 And I’m no more able to predict what’s going to happen when they show up to the Big Ten tournament than anyone else who is looking at it from afar because I think in a lot of people’s eyes they’re probably not in the field at all. Yet I’m not quite yet willing to rule out a team with four top-50 wins and a couple other wins over teams that look like they’re in the field. I don’t believe it’s happened before, but part of that is the changing landscape of college basketball. The quality of play in mid-major conferences has really improved over the past 10-20 years. I believe this is due to the fact that most high major programs don’t have their best players for four years, but mid majors do. Look at schools like Gonzaga, Wichita St, and No. Iowa. They would be very capable of competing in any major conference, and the biggest difference between those schools and the high major schools is seniors and juniors. When was the last time IU didn’t have a single senior on the roster? And we certainly aren’t unusual in that regard…at least with other high major programs. Twenty years ago, it was extremely rare to see a school like VCU get a single digit seed…even if they came into the dance at 27-4. Today, they get those single seeds, which pushes high majors like IU onto the bubble instead. He is definitely a “good” coach. He’s won Coach of the Year awards and has the success to prove he’s at least good. The more important question is, who do we have ready to replace him? If it’s a top notch coach, then maybe we go that route now. But as of today, I haven’t heard any real quality coaches named for the job. Not only Hanner being out, but Johnson, Blackmon, and Hartman all had injuries that didn’t help the cause. I think you and I have been in the same boat pretty much all along. I am still hopeful (hell, UConn wasn’t doing a lot before the tournament,) that everyone gets healthy and this team can make a run—if they can avoid matchups with super-big teams they can get hot and beat anyone, as they’ve proven. I think Crean gets one more year, and hopefully he does so with at least one of the two big guys he’s trying to land. If next year is a wash then it’s probably time to move on. …but imagine the reaction from West Lafayette if it were to happen. Yikes. The other side of this coin is that by this point, CTC surely understands he is not going to be a long term/legacy coach at IU. There is just no way, given the water that’s already under this bridge. So he may very well be thinking about his own long term outlook and may be willing to negotiate an out that everyone can live with. I thought until fairly recently that this would never happen — that he would ride it out as long as possible. But there are a lot of factors involved here that could very well serve as motivators for him to get out while the gettin is good. Pretty much anyone will tell you that the biggest jump for a player tends to be from his freshman to sophomore season, so in that regard there is precedence for improved defense for Johnson and Blackmon. As far as Bryant not helping them become better defenders, I’d say it can. Maybe they do still get burnt but then there’s someone on the back side to take care of it. 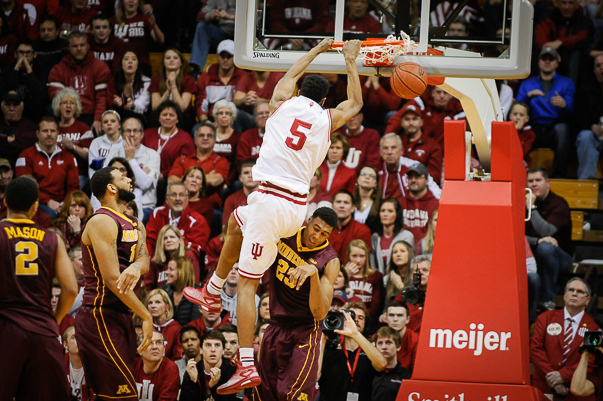 IU got around a lot of Purdue defenders but it didn’t really matter because Hammons was waiting in the lane. Stan is a different story, because I think he’s lost a lot of confidence. The whole shooting switch and switch back has almost made this a lost season for him. It’s funny how many people seem to forget that IU has more wins against ranked teams than anyone over the past 3 or 4 years. That shows something. For all the bashing of Fred Glass that has begun, it should also be pointed out that he is the man who hired Wilson, who finally looks like the right man for the football program and that baseball team has seen unprecedented success. Not saying that all of his decisions were poor Simply pointing out that CTC’s long term contract appears at this time to be a poor decision and defending his man is not surprising. Even General Custer made some good decisions prior to the Little Big Horn. I couldnt ever renember when iu was a double digit seed. Thanks. Fire Tom Crean… He’s a disgrace to the league. I agree with your assessment on Troy and Stan. I think next year could really be Troy’s year to shine. Stan switching shooting hands was killer. Instead of spending the off season focusing on a variety of aspects of the game he was trying to teach himself how to shoot with a different hand. Living in southern Indiana during college bball season has been a drag the last two years :(…….Louisville this. Kentucky that. Yuck. Try living in Raleigh – surrounded by NC State, Duke and UNC. I can’t even open my mouth. My IU flag flies proudly, though! Y’all, what were you expecting from a team full of freshmen and sophomores, and no big? I am excited about our future, but this is not gonna be our year. I know how we get into the tournament. We use the Hillary method, we delete all the Indiana loses on the NCAA computer. All this talk about firing Crean and bringing in Stevens reminds me of the talk about firing Mallory and bringing in the savior Cam Cameron. How did that work out for you? The team has deficits especially in size and injuries in key spots. I am amazed what Crean has been able to do with the limitations of the players he has to work with.